Hiring? We’ll match any competitor’s price! Enquire for details. 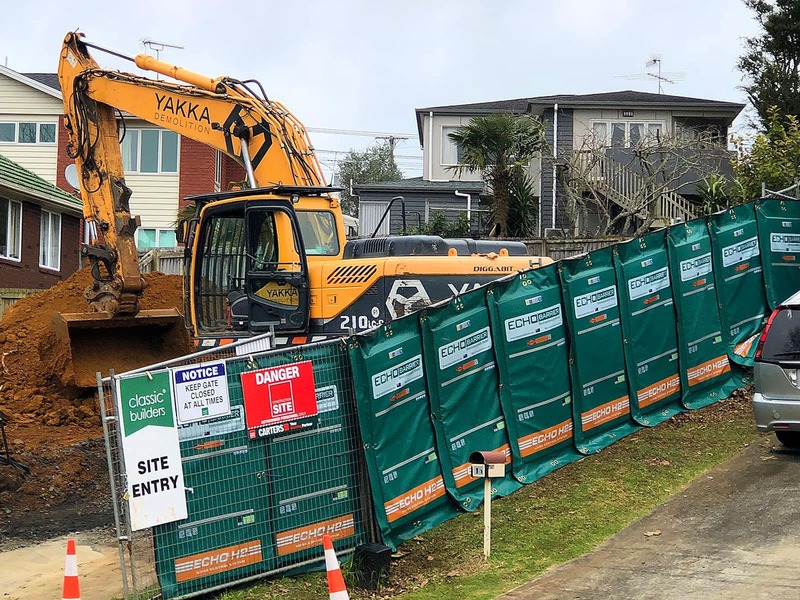 Noise Barrier (acoustic barrier) for construction – NZs only certified noise fence. Designed to treat your noise source, not simply surrounding your entire perimeter. An alternative to traditional plywood hoarding–which reflects sound and vibration and can effectively double the initial noise level. 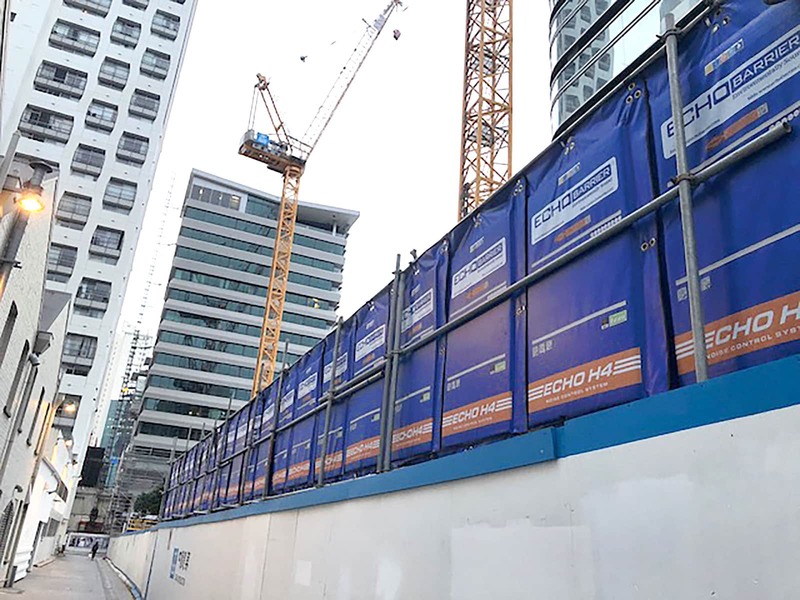 Echo Barrier is a tested and proven noise barrier system for reducing noise by absorption, to the extent of up to 40 dB! 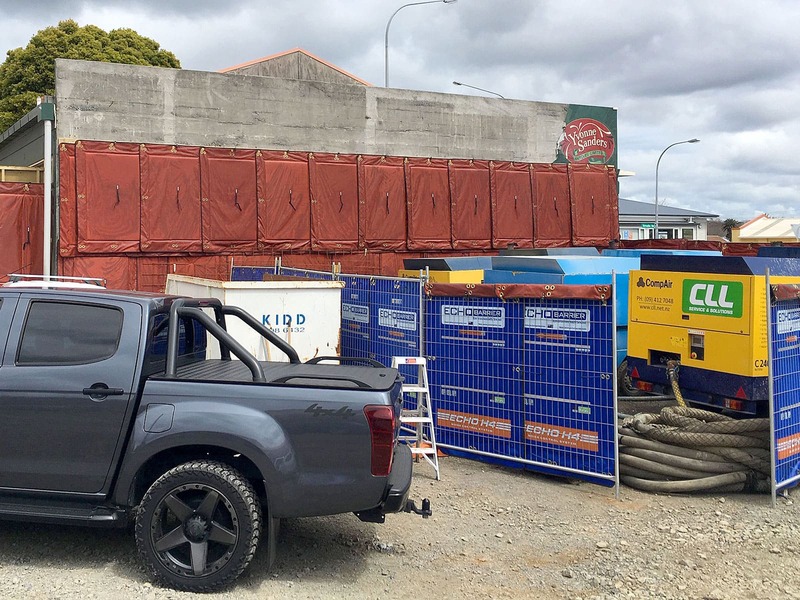 Echo Barrier is supplied to the NZ market by Supply Force International. 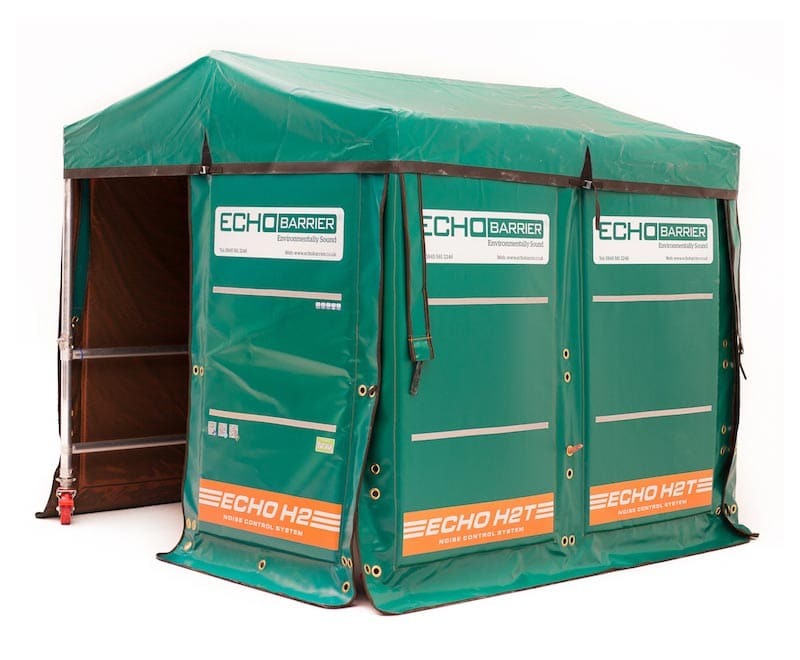 We’re so confident of the effectiveness and durability of the Echo Barrier, that we are able to offer a BUY BACK SCHEME on all Echo Barrier products, so you can buy at no risk, with complete confidence. We’re certain that once you try Echo Barrier noise mats on your construction site or factory, you’ll wonder how you ever got by without Echo Barrier! Our cutting edge acoustic barriers are used worldwide, tested and proven to give up to 40dB noise control. Extremely durable and waterproof, highest quality PVC makes our acoustic barrier easy to clean and professional looking. Top grade lightweight acoustic absorbent which prevents sound from reflecting off the barrier. Allows sound to be absorbed but keeps water out. Extends product life to retain acoustic performance in harsh working environments. Echo Barrier is different to other soundproof fencing products on the market. SFI has independent engineering reports performed by British Standards for Engineering to support this superior noise barrier product. 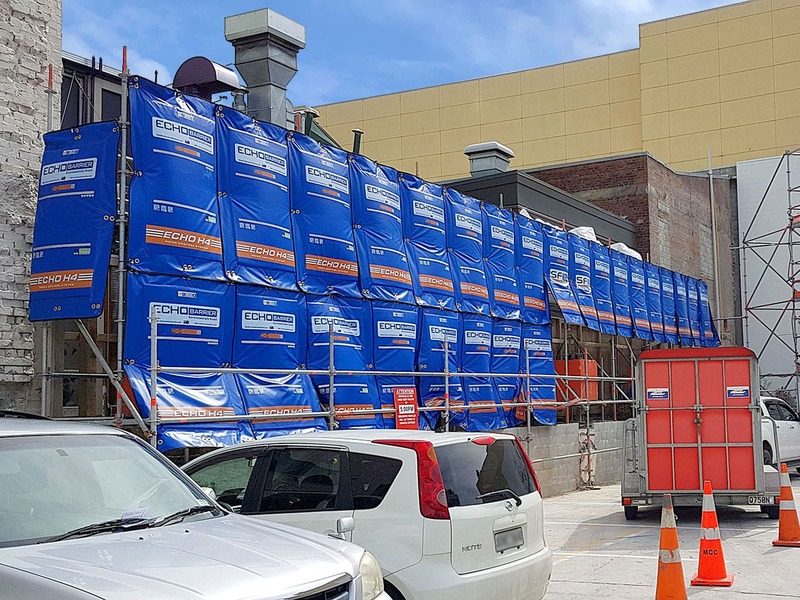 No other noise curtain in New Zealand performs better for construction noise control. Developed by experts, tested to exacting standards with noise attenuation of up to 40dB. 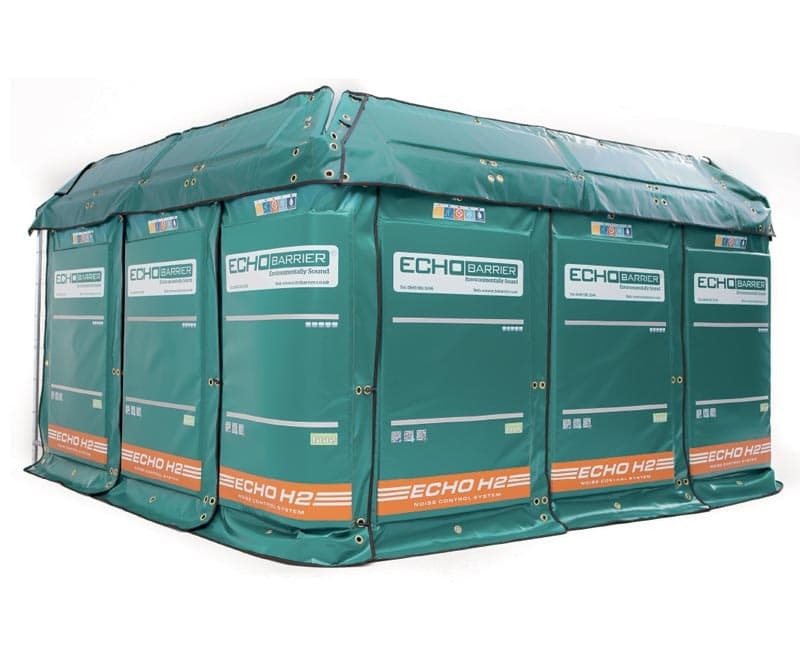 Echo Barrier is a proven market leader, offering the most effective temporary noise control solutions available. Reducing noise with durable, lightweight acoustic barrier products which withstand the toughest weather. 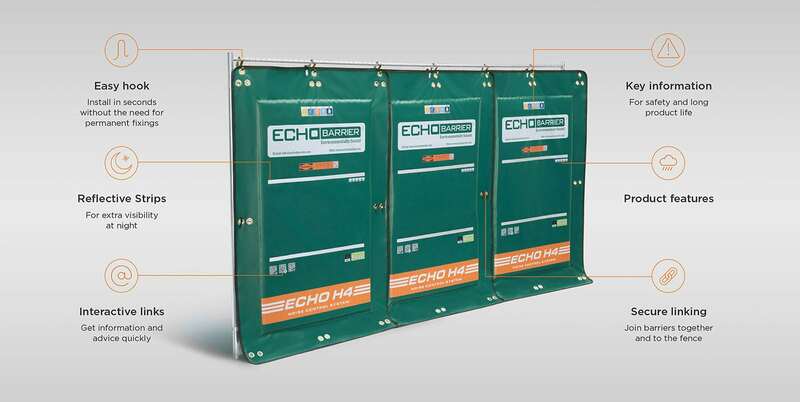 Echo Barrier has sound proof barriers for use as temporary site fencing as well as sound absorbing tents for gensets and other noisy construction and manufacturing machinery. Stylish and customizable to best represent your brand. Our temporary acoustic fencing can be branded with the design and messages of your choice, communicating your ethos and brand to the public. All contractors in the construction industry face challenges of noise and dust management. Some contractors have a better culture than others when it comes to managing such challenges. It really depends on the health and safety culture of the contractor and how health and safety policies are implemented in daily site life. Workers on site will often be wearing hearing protection to perform their task. 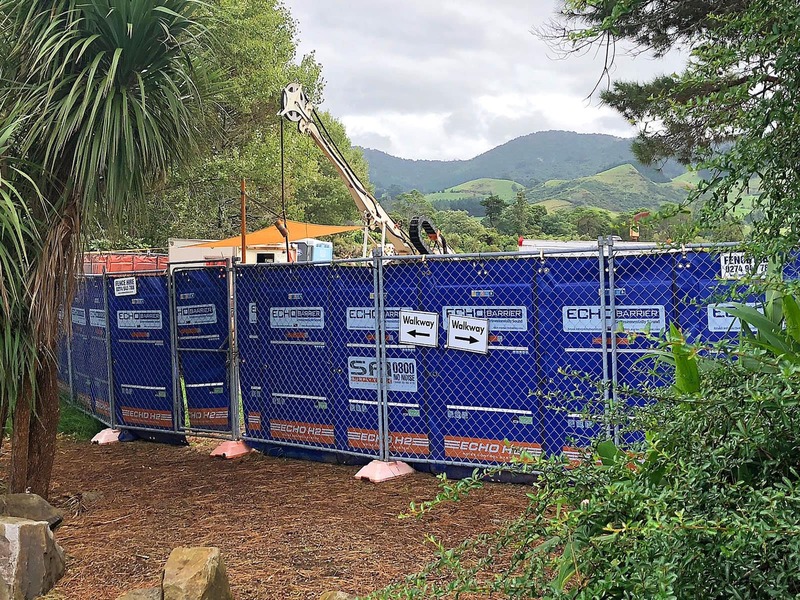 If the only thing separating the public from the work site is a site fence, then it is possible that public will also need to protect their ears as they walk past. Safety professionals refer to this as a walk by hazard. While the safety act encourages employers to identify hazards and manage risk, the onus is on the designer to plan ahead for hazards at each stage of of a construction project. 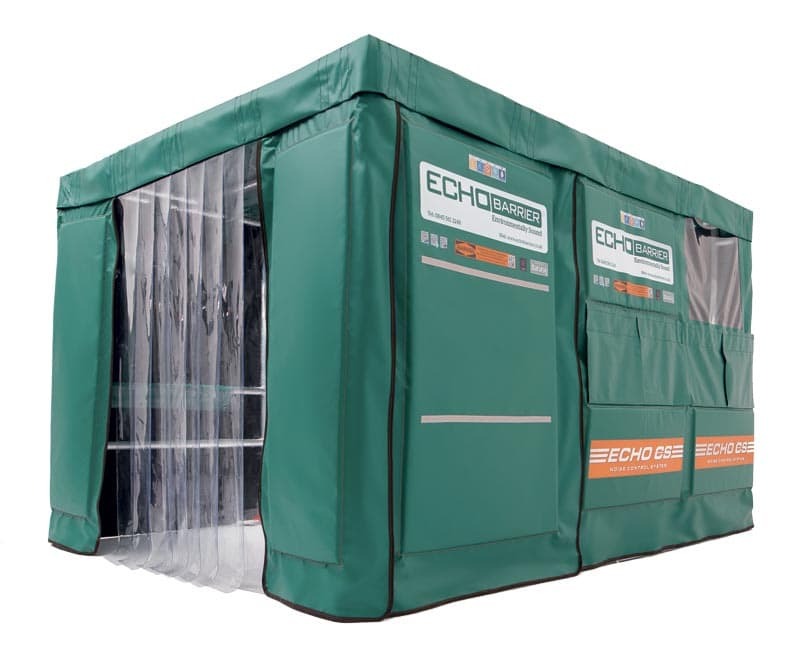 Echo Barrier is simply the best product on the market for protection against noise hazards and construction site dust. Echo Barrier is offered at competitive rates and is backed up by a worry-free Buy Back scheme. Call SFI today for further information. Echo Barrier was founded by Peter Wilson, an acoustics expert with over 30 years direct experience in acoustic engineering. An industry pioneer, Echo Barrier is dedicated to innovative thinking underpinned by R&D, and attention to detail in all aspects of material selection, engineering and design. By combining acoustic absorption and insulation technology, using high-tech, lightweight, exceptionally durable materials—Echo Barrier products are the epitome of acoustic engineering. 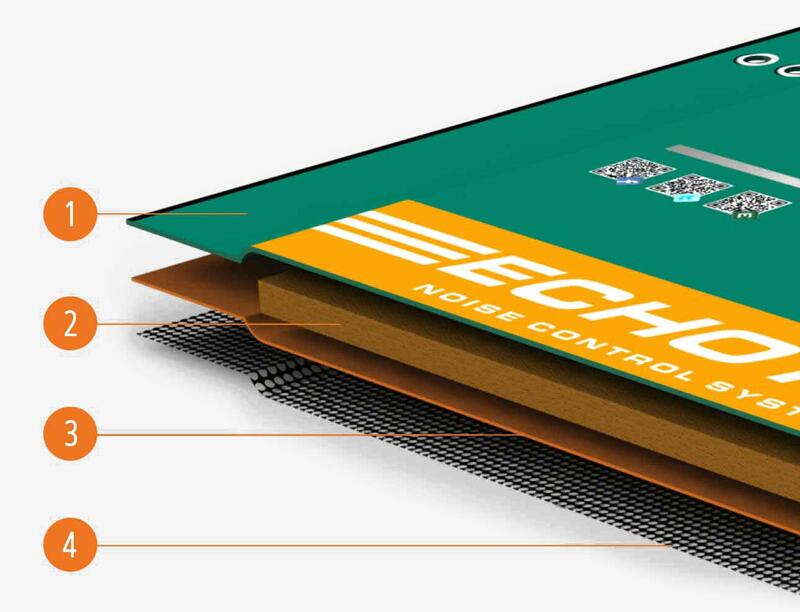 Echo Barrier leads the world in combating noise pollution with its modular system of portable acoustic panels. Noise levels are measured in decibels (dB). Since the decibel is a logarithmic (non-linear) unit of measurement, noise attenuation of ‘just’ 3dB is equivalent to a substantial reduction in noise energy, i.e. 50% yet that reduction is only just perceptible to the human ear. If noise attenuation increases to 10dB, it equates to a reduction in noise energy of 90%; the human ear senses that as noise reduction of 50%. The chart below places this in the context of the performance of Echo Barrier’s H Series of acoustic panels. Taking this further, the chart makes clear why, in the field (on site), it becomes difficult to attenuate noise by more than 20dB. Especially important is that noise reduction of 20dB equates to energy reduction of 99%, yet the remaining 1% of energy represents 25% of the noise level perceived by the human ear. The position of the barrier in relation to the noise source. reflected, it can reverberate, aggravating noise pollution. especially if it is to be portable. If barriers are manufactured to a high standard and present a professional image, the perceptions of their performance can be considerably enhanced. 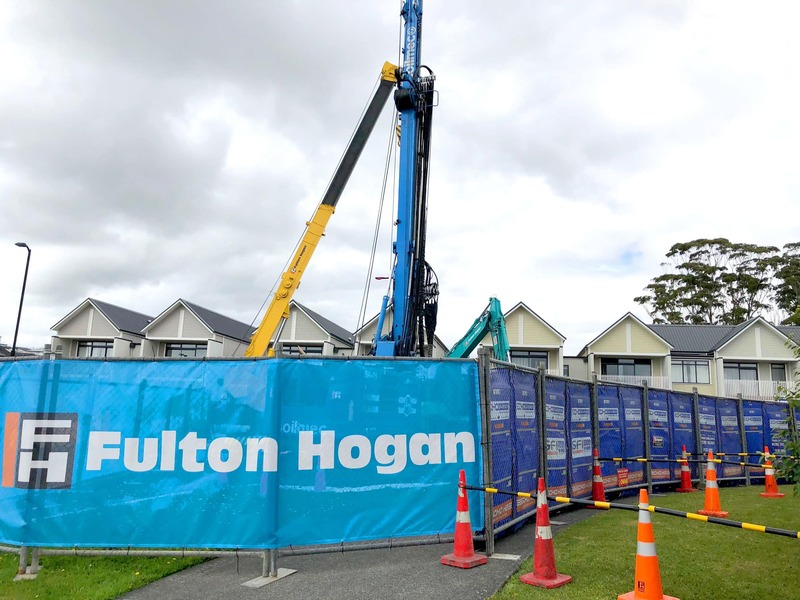 Supply Force has focused on the supply of safety and environmental enhancing solutions by introducing innovative market leading products to New Zealand. We are a small team that focuses on you by offering a flexible approach, efficient business transactions and an ethical partner. SFI deliver innovative cost effective solutions to support your project. © Copyright 2017 Supply Force International. All Rights Reserved | Website by Hart Design.